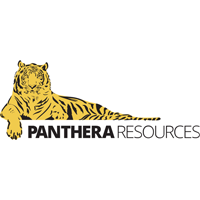 Panthera Resources plc (LON: PAT), the gold exploration and development company with assets in India and West Africa, today announced the grant of a new exploration licence (Permis de Recherché) replacing and significantly extending the tenure of the Kalaka licence in Mali, West Africa. Additionally, the Company is able to provide an update on delayed Court proceedings pertaining to the Bhukia project in India. The new licence has been granted to our local 100% owned subsidiary company – Panthera Mali Resources SARL on behalf of our Joint Venture partners (Golden Spear Mali SARL) for an initial period of 3 years commencing 31st December 2018. This may be renewed for a further 2 years and then an additional 2 years if all conditions are met. As previously reported, the recent Rajasthan state elections resulted in a change of government. Following this change a new Attorney General and Associate Attorney General were appointed for the state in mid-January. The government’s response to our recent Writ Petition requires review by the new appointees prior to submission to the court. While the government’s response was due within four weeks of the 26 September 2018 Court hearing where our Writ Petition was admitted and stay protection granted, we anticipate further intermittent delays as the Court is likely to provide the government leniency following the election and change of administration. We will update the market as the case progresses, but in the meantime we have begun the process of engaging with the new administration with a view to negotiating the grant of the Bhukia prospecting licence.